Happy Hamby Campers: Wood-fired pizza! 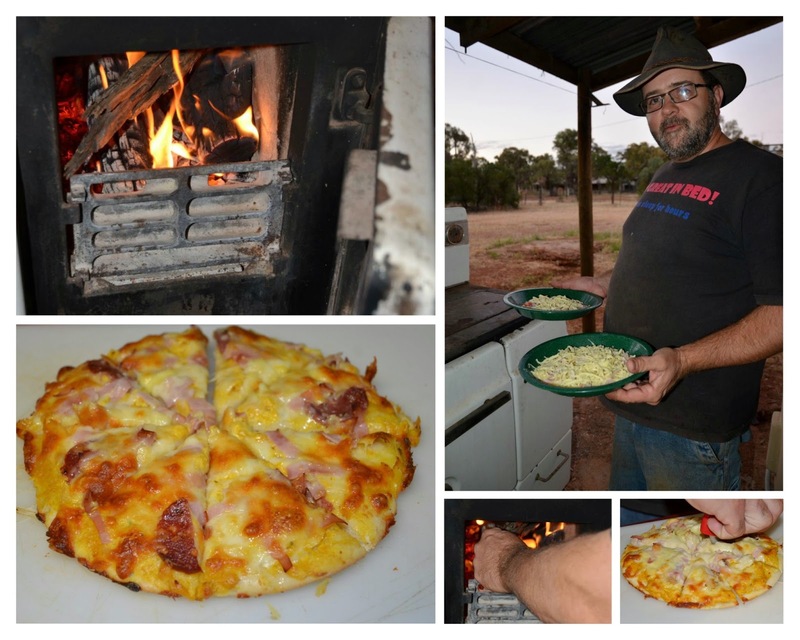 We'd made pizza to celebrate the start of the school holidays, on our nifty Cobb Cookers. I've since run out of heat beads, so have used the outside fuel stove to make hot cross buns, ANZAC biscuits and cakes. We've also cooked pork chops with roast vegetables and some chicken wings - all with good results, though our roast dinner timing was a bit optimistic and we didn't eat till 10:00pm! Tonight we made fan-tas-tic pizza. It was possibly some of the best pizza we've made - and we've made some great batches!